With Amethyst, the "stone of spirituality and contentment" tuned to transmute lower vibrations to higher ones and assist in your metamorphosis, Rose Quartz, the "stone of gentle love" for emotional balance and healing self love, Silver Hematite, the "stone of the mind" to enhance mental capability and sharpness as well as attract kind love, Carnelian to awaken your natural talents and connect you to the spirit world as well as increase your vitality, and Garnet, the "stone of health" to energize your system and boost your regeneration. Available as a single bracelet or stack of 3. Each bracelet/stack arrives with a hand written affirmation to activate the crystals sealed with wax. Imbued with Reiki and Prana. 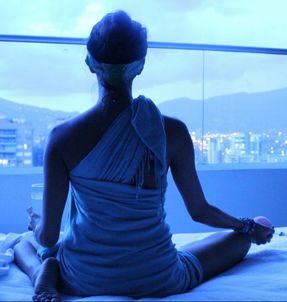 This whole place is imbued with Reiki and Prana for you, to give you some healing and inspiration as you look around. Also, there are lots of videos with absolutely free information and inspiration for you all over this website. Feel free to visit my about page to learn about me and contact me. Lots more is coming soon, so stay tuned. 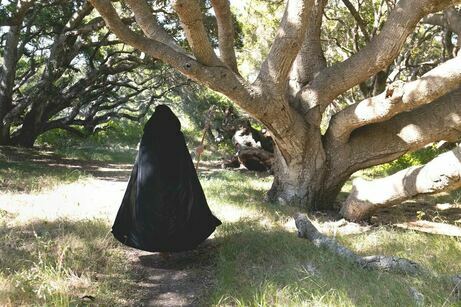 Sending you blessings and love wherever your path leads you! 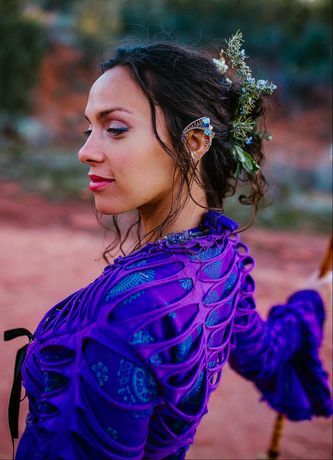 2019 Goddess Workshop Tour Dates Have Been Announced! Portland, San Francisco, Los Angeles, and Sedona are happening this Spring! 2 Hour Video Workshop delivered via email. Experience a series of guided visualizations to activate your natural capacity as a healer. Based on principles of many traditions. Expect your welcome email within 24 hours of registration. Click to learn more about Witch I Love Your Hair natural and organic products. "I just finished the course, and it was nothing short of lovely. My heart feels so full of love and joy, so thank you for creating this space and helping me to reconnect to my own. I hope you are having a great day, thanks for improving mine! The body's natural electromagnetic field, also known as the Aura, provides the constant state of wellness that we experience. A clear Aura has far ranging benefits, including mental clarity, happier mood, greater mindfulness, more energy, streamlined motivation, and healthier relationships. This two hour workshop takes you through mindfulness and meditation techniques that can be added to your everyday routine to enhance your experience of life in a way that will have others telling you that you are a joy to be around and that you make the world brighter, just by being yourself. 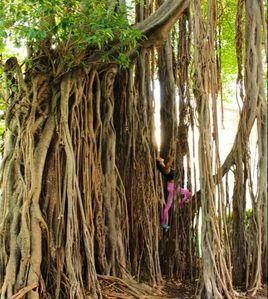 These techniques also help get you out of a "funk," when you are feeling grumpy or drained. The applications are endless. Over time, this process gets quicker and easier, and you'll customize it naturally to suit your own mind, body, and spirit health. Click here to learn more about the Aura Workshop. Gently activate your abilities as a natural healer through a 7 part process. Course is delivered via email and video - requiring less than 10 minutes a day to get the full effect. Enrollment begins again in 2019. "I feel so thankful for your guidance and lovely presence; also for making it so accessible. I definitely felt a shift within me like I'm more connected to my heart in my daily life. I have also felt a huge change when I'm lucid dreaming, more courageous and my energy feels sharper. I will definitely come back to this course and I can't wait to see what else it's going to transform in my life. This is one of my favorite companies of all time. We change the world by voting with our time, energy, focus, and our wallets. Click here to learn more about Zoe. Online learning is the wave of the future. Everyone is an expert in something. Creating online courses you can be proud of and feel passionate about is a great way to create passive income for yourself that also makes the world a better place. Expect to receive a confirmation email within 24 hours of registering. After years of researching and planning, the stars have finally aligned for me to begin a journey making something I'm very passionate about come to fruition - natural, eco friendly building. 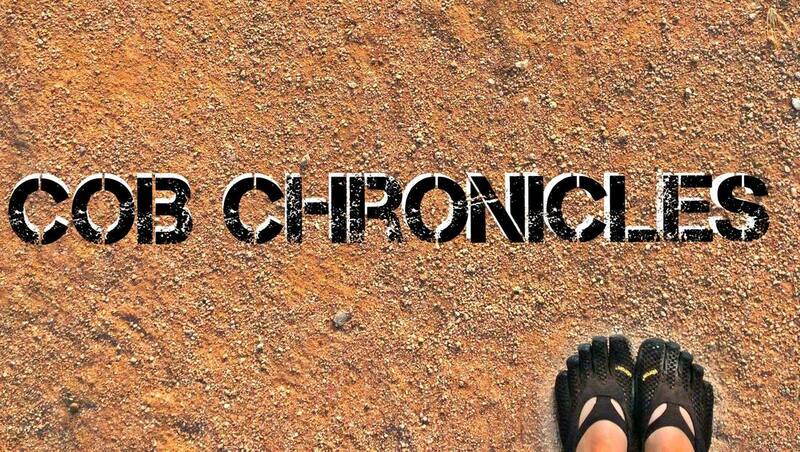 Visit my YouTube channel for hundreds of free videos to help guide your journey. The Merkaba is an ancient tool used by meditators to hone and sharpen visualization tools and travel more effectively. This 2 hour workshop will teach you a Merkaba visualization sequence that can have far reaching effects in your life. When you clarify and strengthen the energies you put out into your world, you experience greater Harmony coming back to you. 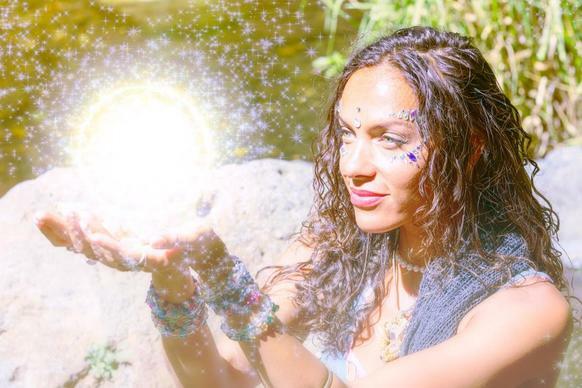 The Merkaba Activation Workshop is designed to give you visualization techniques that keep your energy body healthy, glowing, and traveling well. These techniques require focus and visualization skills. I've been using these techniques for 5 years. ​I notice a much more smooth journey through life when doing this regularly. See you in the workshop! Be sure to include your preferred email address. The workshop video will be delivered to your email inbox within 24 hours of registering. All Ascended Adornment Pieces below are currently Sold Out. Follow me on IG at @charismelina to get updates on when new pieces are available. Ascended Adornments are made in very small batches and charged with Reiki, Prana, and healing energy. With Citrine, Golden Healer Quartz, Aura Quartz, and Cat's Eye. To bring good luck and abundance. Holds energies of protection and radiance. Helps aquire and maintain wealth that heals the world. Arrives with a hand written, wax sealed affirmation to activate the crystals. Smooth rose quartz on an adjustable golden fabric cord. Rose quartz smooths and softens skin. Using this crystal to massage your face daily reduces wrinkles, relieves stress, and beautifies your complexion. Each necklace comes with a wax sealed affirmation and an instructional video. Including Emerald, the "stone of successful Love," Moss Agate to balance emotions, connect with nature, and sending healing to the planet, Jade, the "dream stone," to bring self love and improve devotion to the life purpose with success, Aura Quartz to bring the energy of stars into your soul and keep your glow strong, and Chrysoberyl Cat's Eye, a "stone of immortality," to enhance your awareness and luck. To protect your energy and nourish your inner fire - strength of will, clarity, freedom, and focus. Delivered with hand written, wax sealed affirmation to activate the crystals. 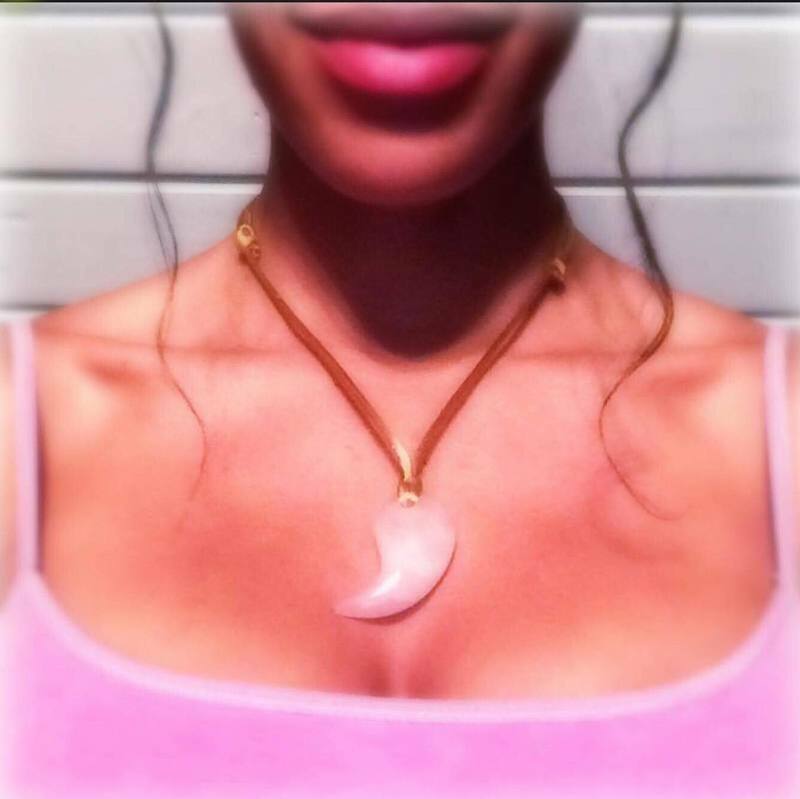 Imbued with Reiki and Prana to serve as an amulet of protection, intuition, and clarity. Moonstone connects you to your internal guidance and natural intuition. Labradorite protects your energy field. Silver smooths your aura and brings healing energy. Each necklace arrives with a hand written, wax sealed affirmation and an instructional video. Each bracelet arrives with a hand written, wax sealed affirmation. Imbued with Reiki and Prana, these gemstone bracelets are made with aura quartz, lapis lazuli, rose quartz, blue stripe agate, larimar, amethyst, amazonite, and aventurine. Wearing these feels like wrapping yourself in a lovely shield of activation and gentle, though powerful protection. The stones glow and sparkle - especially underwater! 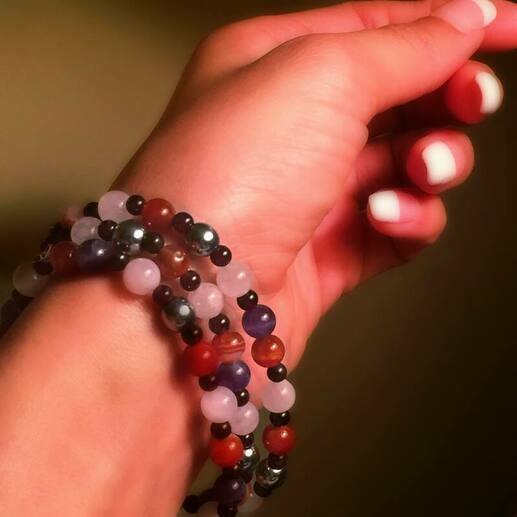 Each bracelet comes with an affirmation and video instructions on how to connect with its energy. Rainbow Moonstone, Peridot, Amethyst, and Clear Quartz on gold vermeil. Moonstone, known as "the traveler's stone," connects you to your intuition and protects you during travel. Amethyst opens your extrasensory perception and guards your energy field. 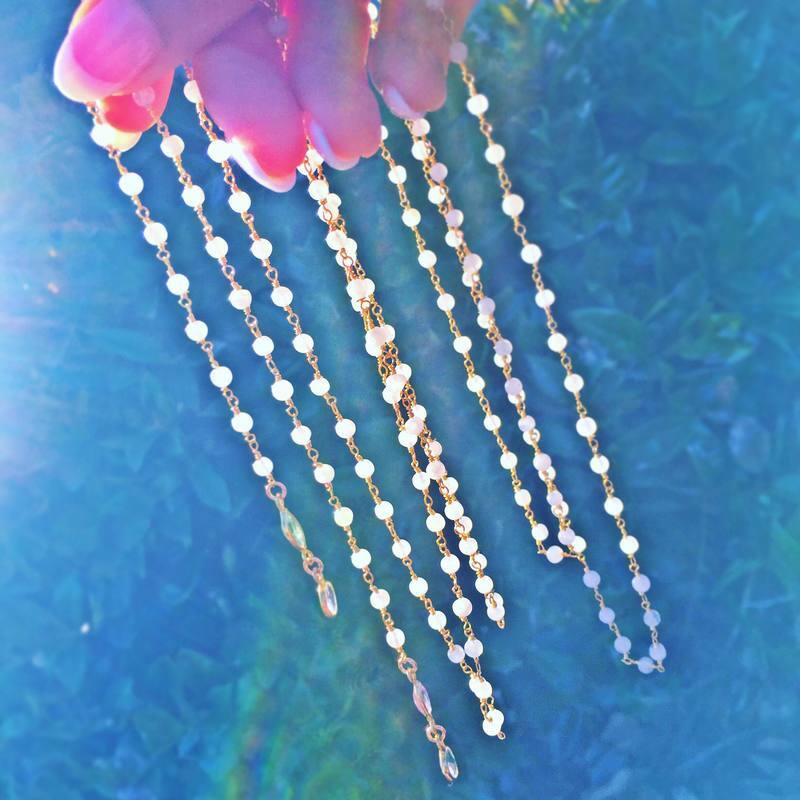 Clear quartz aligns you to higher planes of existence and keeps your energy clean. 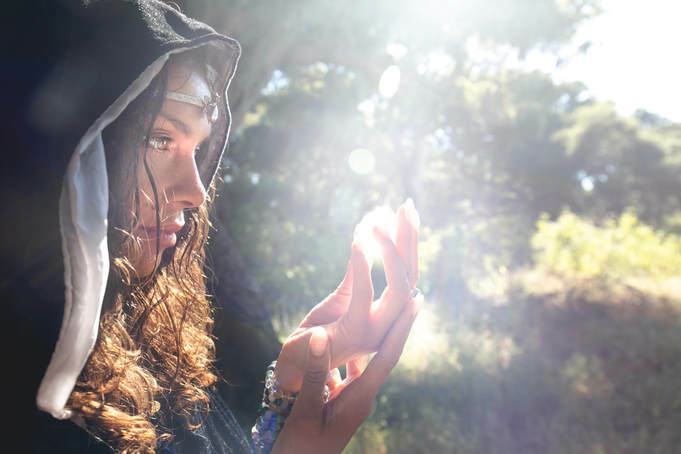 Imbued with frequencies that work with each crystal's natural properties to ground and center your spirit, clear your mind, protect your energy, expand your heart and connect you to your own inner wisdom. Labradorite, larimar, sea glass, aura quartz, amethyst, rose quartz, agate, angelite, green aventurine, and lapis lazuli. Imbued with Reiki and Prana at the Pacific Ocean. The energy of these bracelets wraps you in a cool, soothing, protective field of watery balance. Water is the ruler of emotions. January's Birthstone, Garnet, is a powerful crystal that transmutes negative energy to positive energy. It clears and aligns the energy body and assists in healing and self-improvement. These gem strands are made with garnet, clear quartz, and sterling silver. They are each over 3 feet long and can be worn as necklaces, bracelets, belly chains, face chains, or hair adornments. Wearing them feels like putting on a shield of peaceful, impervious energy. They act as a beautiful barrier between your private inner world and what is going on around you. Excellent protection for people who are sensitive to others' energy, and folks who are hard on themselves. Each comes with an affirmation and instructional video on how to connect with its energy. 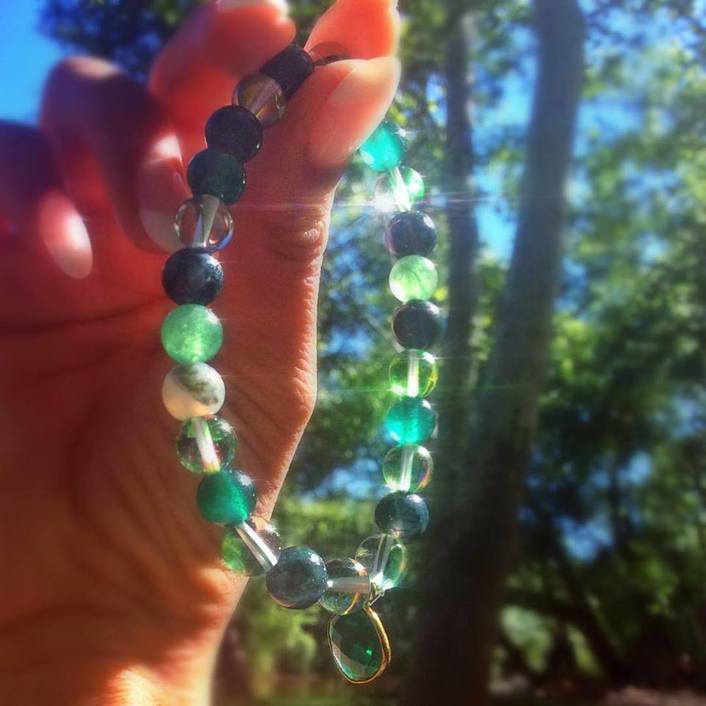 Infused with Reiki and Prana, these crystal bracelets are meant to uplift your spirit and lend you strength, focus, confidence, and luck. Aura quartz glows in the light as it aligns you with your highest purpose. Citrine clears your energy and brings abundance. Angelite brings the energy of your Angel guides. Amethyst protects you and enhances your intuition. Every order arrives with a hand written affirmation (with a wax seal) and a video showing you how to connect with the energy of the Unicorn bracelet. Simple, mindful, deliberate practices that make a huge difference. Spirituality and connection to the unseen world have been part of every culture and civilization throughout history. It is possible to use ancient techniques with modern sensibilities. Let me show you how. There is a great purpose within you that the world needs. It is time for you to live it. As we open our hearts and take inspired action, we make the future brighter for all of us. We live in a renaissance of thought, emotion, technology, and innovation. New paradigms are being discovered each day. ​Let's work together to make this world beautiful. If each person in this world answered their deepest heart call, we would live in a paradise. We would heal. We would come together. It begins with one step. If we start, others will follow. Trust. We can do this.